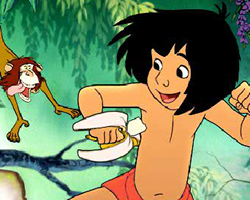 Jungle Transport Jungle Transport Help Mowgli travel along the mighty river in this amazing swinging game. 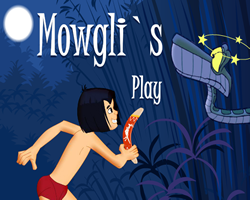 Mowgli Jungle Adventure Mowgli Jungle Adventure Mowgli went in his adventures through the jungle and is now faced with new challenges. 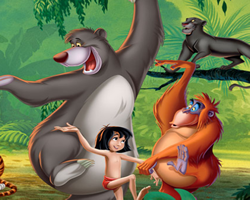 Jungle Book Jungle Sprint Jungle Book Jungle Sprint Help Mowgli make his way to the Man Village with the help of his friends Baloo and Bagheera. 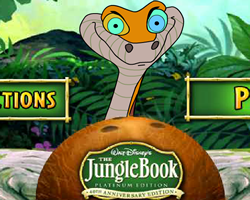 Kaa Coconut Challenge Kaa Coconut Challenge Distract Kaa with coconuts before he hypnotizes you. Description: Climb up ladders, grab fruit, swing from vines and more in this platformer. Instructions: Use arrow key to move and spacebar to jump..